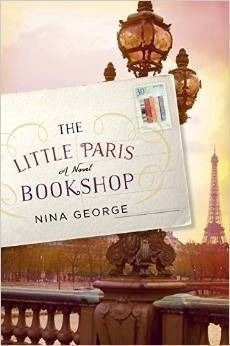 This month the From Left to Write Book Club is reading The Little Paris Bookshop by Nina George. The book explores the life of Monsieur Perdue, the owner of a bookstore that is housed on a boat, which he calls The Literary Apothecary. One day, after learning that the woman whom he has been heartbroken over for twenty years was dying from cancer when she left him, he decided to hoist anchor and sail his book barge down the river. One of his companions on the boat is a young author, Max Jordan, who was quick to fame with his first book, and has seemed to be hiding from everyone ever since. It was said in the book that Max Jordan has lost his muse. That he is searching for her. “‘He’s lost his muse, Signor Salvatore. Max made a pact with her and gave up his normal life. But his muse has gone. Now he doesn’t have a life-either a normal one or an artistic one. And so he’s on a quest to find her. '” – Jean Perdu, The Little Paris Bookshop. I have been chasing my muse for years and years. For those of you who have followed me for a few years, may remember a post I wrote last year about being overloaded and out of tune. I was so optimistic about getting my life straight and being able to write again. But, just as everyone with older children has told me, as they get older, it just gets more hectic. My kids have something every night of week. 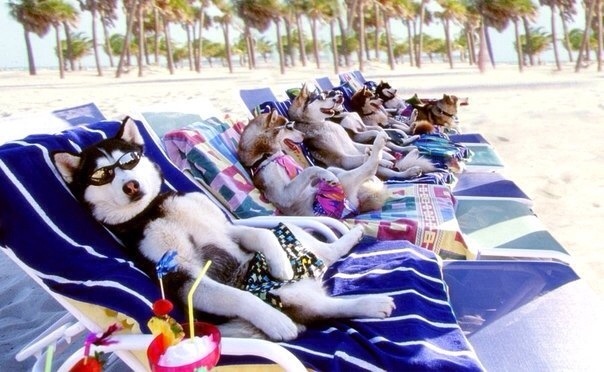 I have a day job now too and am finally able to contribute to the household financially, and on a consistent basis. I still have my job at the dance studio, but it’s only on Sunday now. So, with working six days a week, managing a household, and running the kids all over creation, some things have either taken a back seat or been eliminated from my life altogether. As a result, my muse is still missing. She went away a long time ago, and hasn’t returned. I ache for her; physically, emotionally, spiritually. I long for the time when the words would flow and the characters would speak to me. I was hoping she would return now that some of the stress over the finances has been alieviated. Instead, she has been replaced with exhaustion. “‘Maybe he didn’t love his muse enough? If so, he’ll have to ask for her hand all over again. '” – Salvatore Cuneo, The Little Paris Bookshop. Did I not love my muse enough? Perhaps not. Like my old high school best friend, she took a backseat when the children came along, got tired of waiting around, and left. Maybe one day she will come back. (Although my friend never did). Until then, I guess I will just continue to pine for her from afar. This is an original ROSCMM post. All opinions are that of Jennifer herself unless otherwise stated. This post was inspired by the novel The Little Paris Bookshop by Nina George, where Monsieur Perdu–a literary apothecary–finally searches for the woman who left him many years ago.. Join From Left to Write on October 8th as we discuss The Little Paris Bookshop. As a member, I received a copy of the book for review purposes. 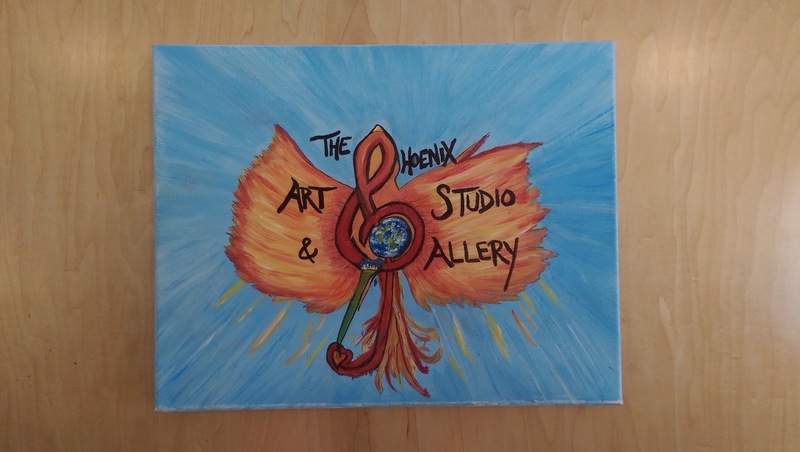 This weekend, I had the pleasure of reuniting with an old friend from high school at her brand new art studio! I have known Krissi McVicker (Byberg) since we sat together in Mr. Albano’s creative writing class and sang together in concert choir and the shows. For as long as I have known Krissi, music and art have always been the center of her world. 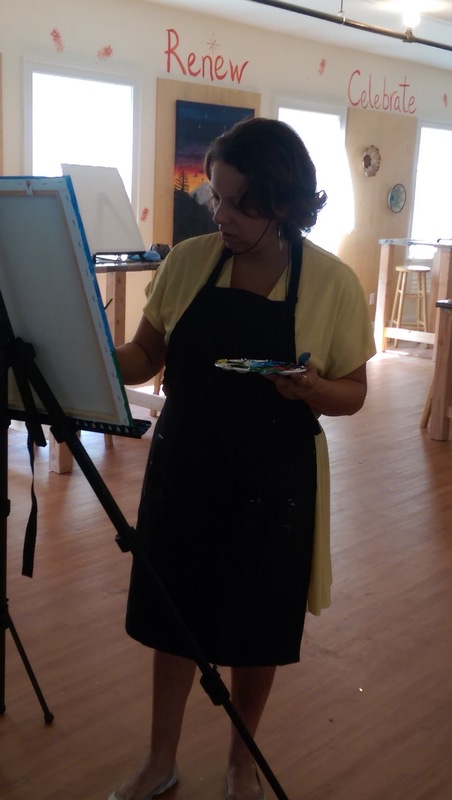 Now, after being a public school teacher for over 15 years, and struggling through a heartbreaking divorce, she has finally given life to her passion and opened her own art studio. “I found this place through a realtor, and it just spoke to me,” she says of the beautiful space she has transformed. 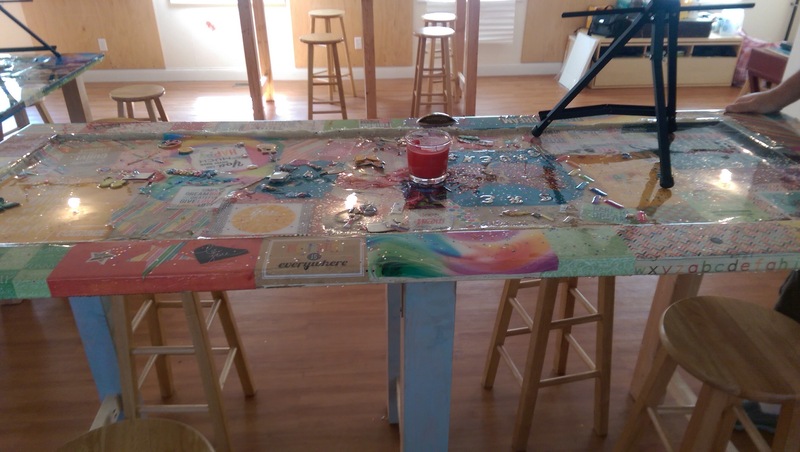 A former yoga studio, the space already had natural wood floors and the same color wood panels on the walls. There are windows all around that allow in lots of natural light, and bare piping along the ceiling that give the studio an organic feel. Nothing is covered up here, which helps patrons feel like they can be themselves, that they don’t have to hide anything. 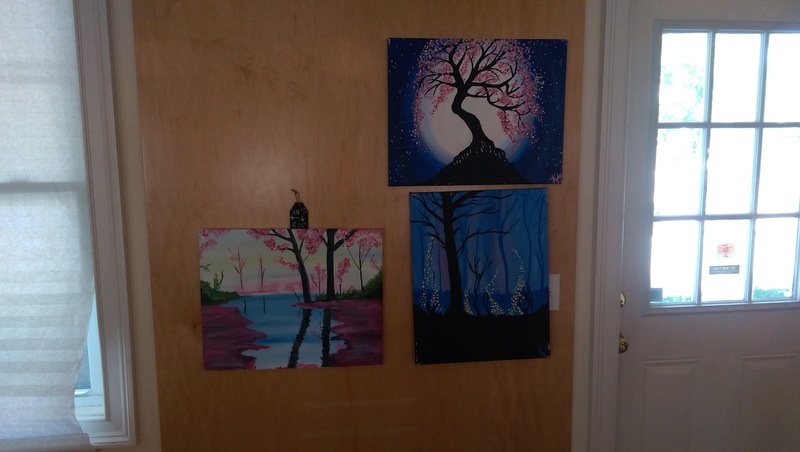 The walls are adorned with all sorts of beautiful pieces, both for sale and for show. And not only are the walls beautiful, but the tables are too! 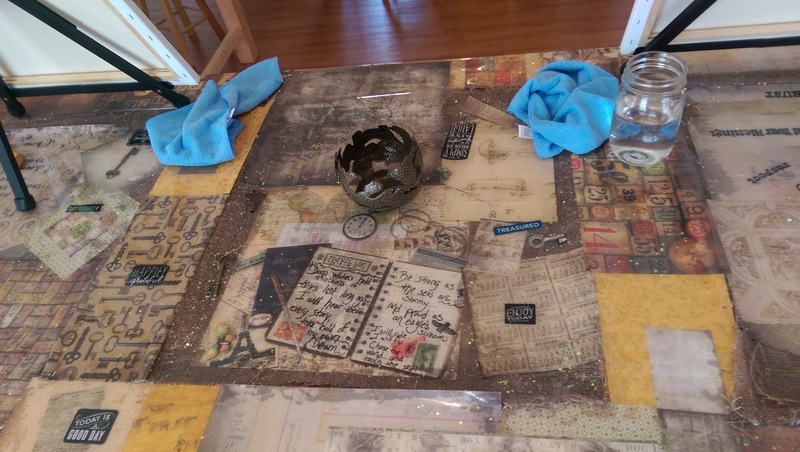 Krissi built her own work tables by salvaging antique doors and, using decoupage, transformed them not only into a sturdy workstation, but a source of inspiration. 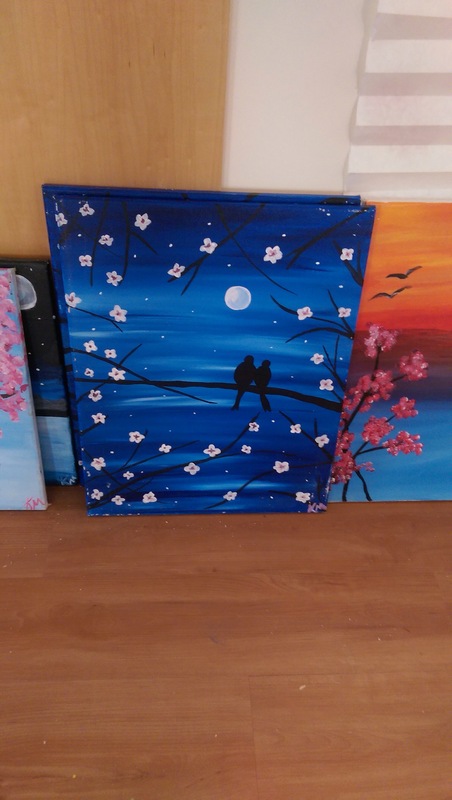 Each table has a different theme. And each table is more beautiful than the next. 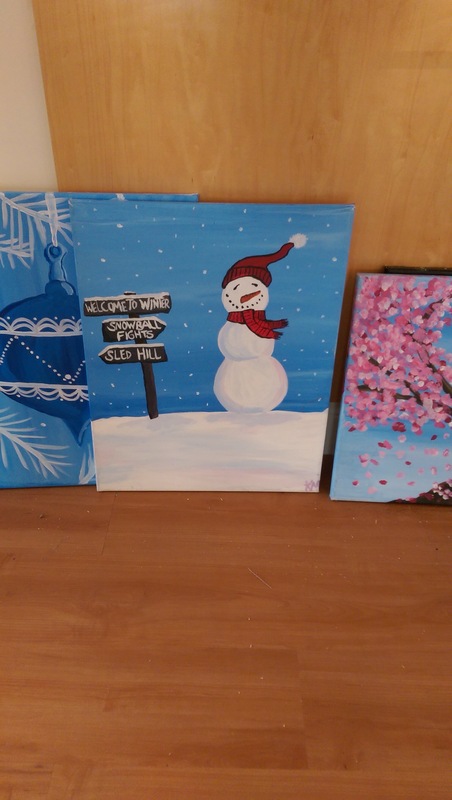 Krissi offers Paint and Sip nights most Monday and Friday nights from 7-9pm. 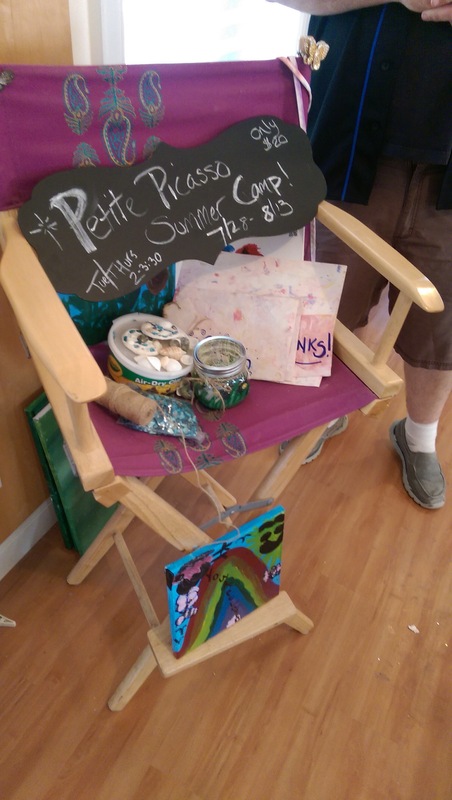 “I’ll also eventually have mixed media those days in August from 2-4. 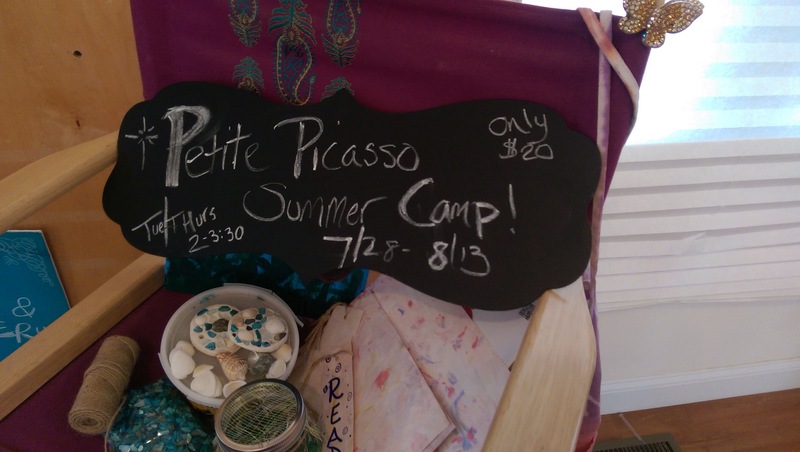 Petite Picasso (children’s summer camp) will be on Tuesdays and Thursdays from 2-3:30. 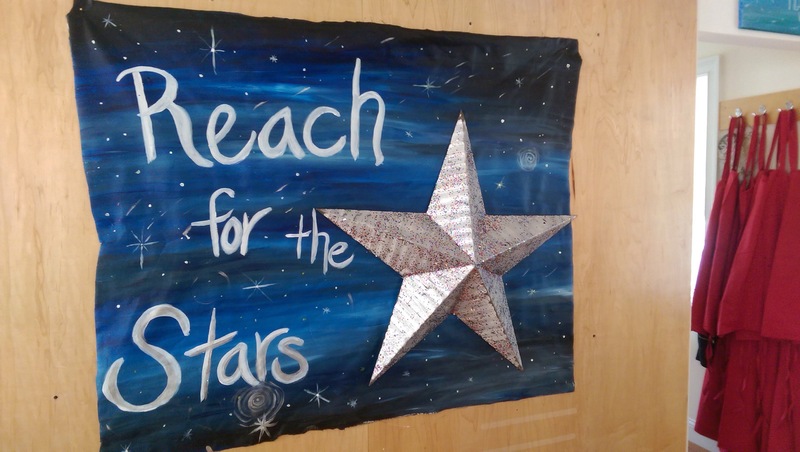 The Phoenix is also in talks with a certain charity in regards to “Paint it Forward” events and fundraisers. Thank you Krissi, for inviting me to your beautiful new space. I wish you all the luck and success in the world. Because I am fortunate enough to be able to stay home with my children while my husband works, I am also able to volunteer for PTA programs at their schools. I don’t do much, but the one program I make myself available for is the PreK program. For the past two years, I have donated my time on Tuesday mornings to help these little ones feel comfortable in the school they will attend the following year. I find joy in their little faces and their laughter lifts me from my dark place for a little while. I was filled with pride as I watched “my babies” perform their songs, accept their diplomas and march across the stage for their photo op. I cried happy tears as everyone watched the beautiful presentation put together by our chairperson, pictures of the children during activities we provided for them. One of my PreK babies! Love them all so much!! It may have only been an hour and a half once a week, but during that time, those kids were mine, and I loved every minute of it. 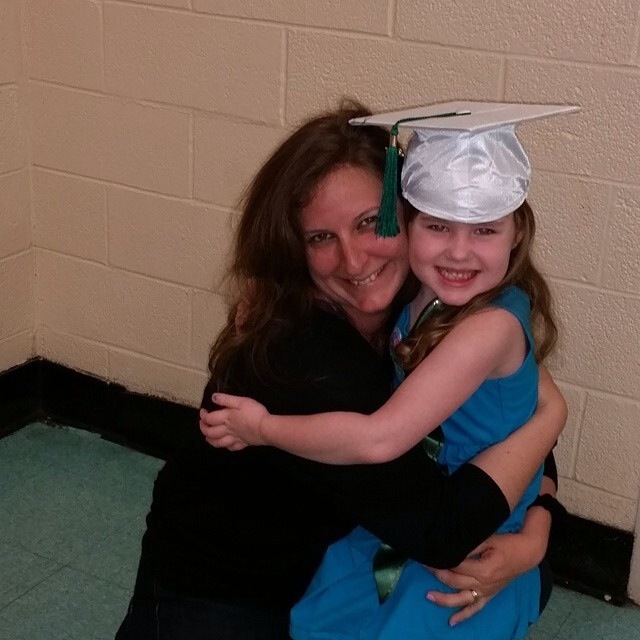 Congratulations PreK class of 2015. I will miss you. On to bigger and better things. I wish I could thank you all individually for allowing me to be a part of your life, however small a part it was. Have fun in Kindergarten! I’ll see you next year when I bring my new group of PreK babies in to visit your classroom. 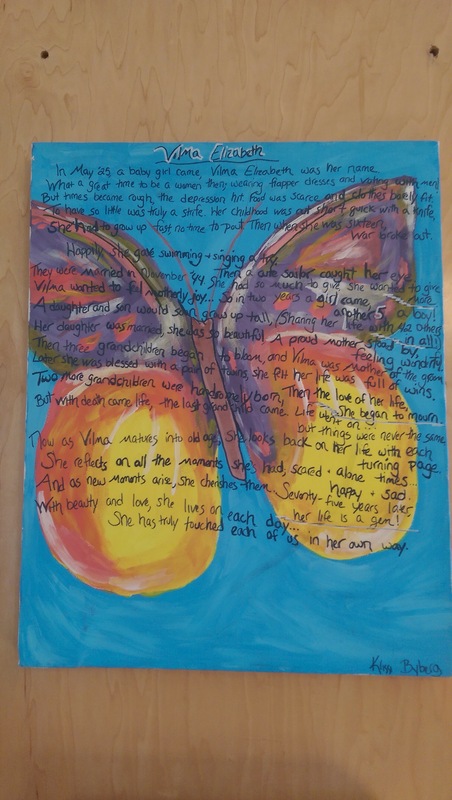 This is an original ROSCMM post and was inspired by The Mapmaker’s Children by Sara McCoy, a copy of which I received for review purposes. 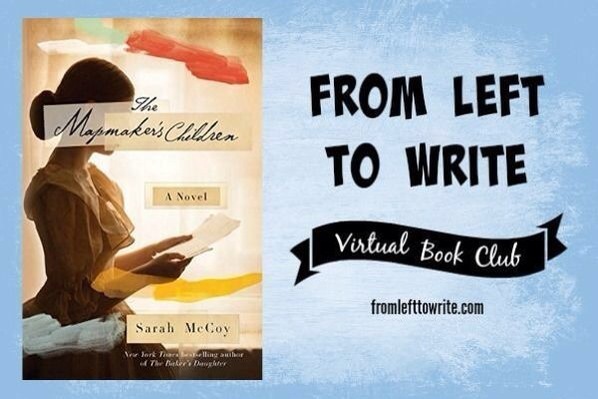 Join my virtual book club, From Left to Write on May 19th as we discuss The Mapmaker’s Children. All opinions are that of Jennifer herself, unless otherwise noted. A Challenge, are you up to it? This week, I had the pleasure of hanging out with my Aunt Millie. 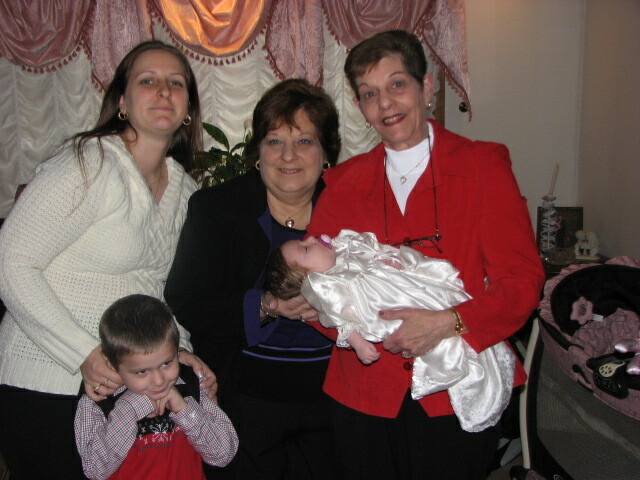 Aunt Millie (in red), my mom, my two kids, and me on the day of Little Miss’s christening. Aunt Millie is my mom’s middle sister. 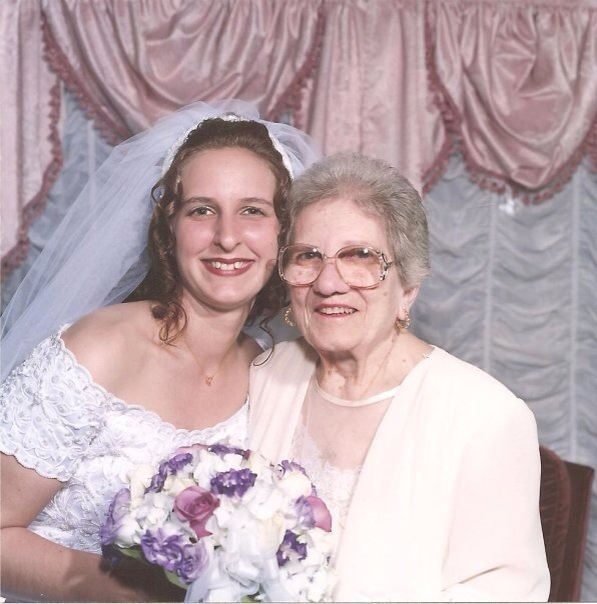 She’s the aunt who never married, who lived with and cared for my grandmother until the day she died. She was the fun aunt. Growing up, she was the one who got down on her knees and played with us and laughed with us. She’s my brother’s godmother at baptism and my sponsor for Confirmation. She is very near and dear to our family. Sadly, Aunt Millie is succumbing to age. Now that she lives alone, she’s become a sort of shut-in. She screens her calls and doesn’t go out. She’s stopped taking her medication and seeing her doctors. She’s showing signs of dementia, forgetting things from minute to minute. And she lives in a different state. With my mom and I being her closest family. With her health deteriorating, my mom and I have decided that it is time to move her out of her house and into an assisted living facility here in New York. These last few days I have been touring these facilities with Aunt Millie, showing her the best ones within her price range. We’ve finally chosen one where she will be best cared for and we believe that she is excited to get started. She knows that she can’t handle her home anymore, she knows that she’s not in the best of health anymore. We believe she is ready to move on and part with her former way of life. And we couldn’t be happier for her. Watching my beloved aunt go from independent working woman to the forgetful, sweet, simple soul she is now has been so devastating. My grandmother had dementia before she passed, and it seems as though Aunt Millie is following in her footsteps. And living alone where your family is over and hour away is scary. I hold my breath every time I call her, waiting to hear her pick up the phone. When she doesn’t answer I fret and worry until she calls me back. I wish she was close enough that I could just hop in the car and go to her house. But with my children dependent upon me for everything, it’s near impossible to take a day off. Where am I going with this, you may ask. 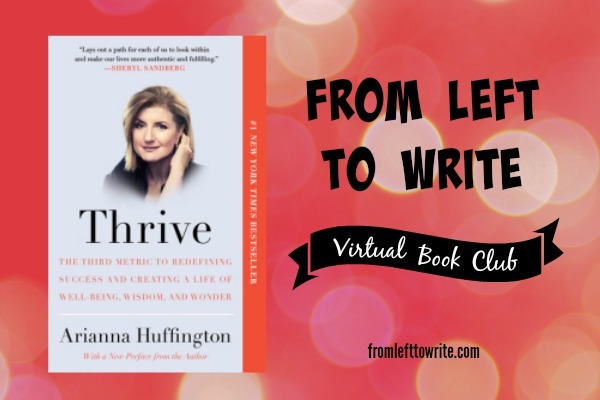 This month the From Left To Write book club is revisiting a past reading, Thrive, by Arianna Huffington. In it, she issues a challenge to her readers to slow down, unplug, get more sleep or practice yoga or meditation. Kim, our fearless leader and head book nerd at FLTW is encouraging us to take one of those suggestions and attempt a seven day challenge. 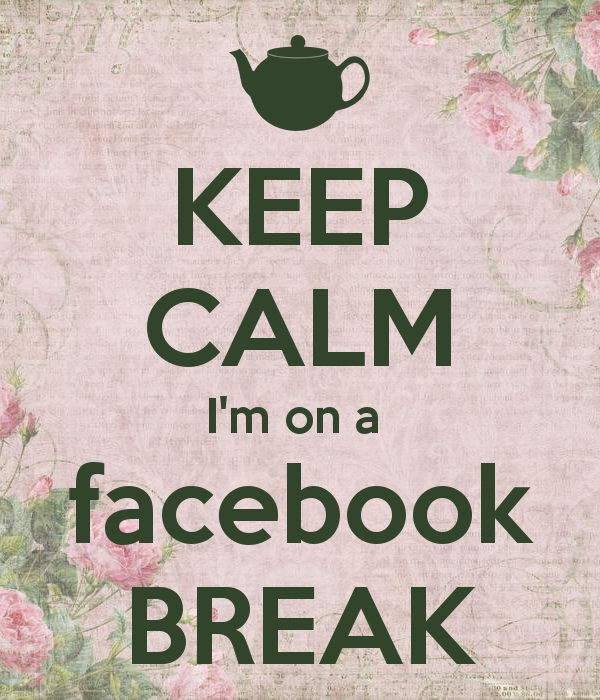 Having already given up Facebook for Lent, I have decided that my challenge will be to take better care of my brain and my memories. Alzheimers.org.uk suggests that dementia may be hereditary, so I want to start taking some steps to keep my brain healthy so that maybe I won’t forget who my children are, or where I am, or when the last time was that I ate when I’m in my 70’s. Maybe I won’t become like Aunt Millie, alone and maybe afraid because she can’t remember where she is or how she got there. The Mayo Clinic states that although there is no sure-fire way to prevent dementia, there are some things you can do to help. Keep your mind active.Mentally stimulating activities, such as puzzles and word games, and memory training may delay the onset of dementia and help decrease its effects. Pursue education. People who have spent more time in formal education appear to have a lower incidence of mental decline, even when they have brain abnormalities. Researchers believe that education may help your brain develop a strong nerve cell network that compensates for nerve cell damage caused by Alzheimer’s disease. So, here I go. Wish me luck. I’ll let you know how I do in about 40 years. And I challenge you to take care of your brain, preserve your memories, and live a long, healthy, and happy life. In the meantime, I can’t wait to get Aunt Mille into her new place to my family and I can enjoy her company again and maybe, with her finally getting medical care, she’ll come back and we’ll get a glimpse of that wonderful independent woman again. This is an original ROSCMM post. This post was inspired by Thrive by Arianna Huffington who challenges women unplug and sleep more to create a balanced life. Join From Left to Write on March 19th as we discuss Thrive. As a member, I received a copy of the book for review purposes. ﻿This month the from the From Left to Write Book Club is reading Maria Kang’s The No More Excuse Diet. As a member of the book club I have received a copy of this book for free for the purposes of this blog post. Maria Kang is the founder of the not for profit Fitness Without Borders and the mom featured in the controversial photo entitled “What’s your excuse?”. The photo, featuring Kang in her workout gear and smokin hot body and her three children, went viral in 2013. Many saw her as an inspiration, others saw her as a “fat shamer”, making people feel bad because they don’t look like her. 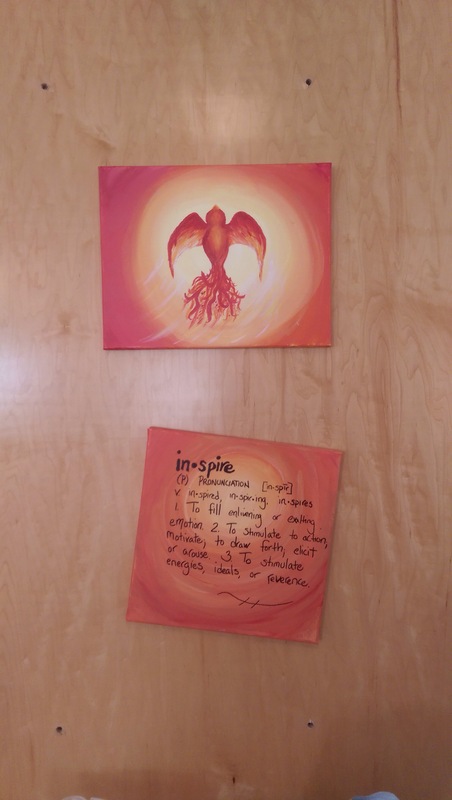 Personally, I saw it as an inspiration. If she can do it, why can’t I? What’s my excuse? My excuse is that I am lazy and losing weight is the hardest thing in the world for me. I love food and I don’t want to stop eating the foods I love. And exercise is hard. It’s so much easier being lazy and staying fat. In my new place, I have to climb stairs. I have two kids that need to be everywhere at the same time. Huff puff. Oh, my back! I have a very energetic dog who needs exercise or he becomes destructive and annoying. Huff puff. Oh, my back! Oh, my knees! I assist my boss at the dance studio with a class of three year olds. Huff Puff. Oh, my back! Oh my knees! Oh, my feet! This is the costume that I will wear on stage in front of a couple hundred complete strangers (and a few not so strange) when those three year olds perform their dance for their recital in June. Now, I know nobody is going to be looking at me. They’re all going to be looking at those adorable little girls in their sparkly tutus and bright pink bows. And those little girls are the ones they should be looking at. But I have to look at me. And I don’t like what I see. I’m already on my third day of eating under my calorie goal. The weather hasn’t been nice to me this week, so walking the dog or getting to the gym hasn’t happened yet, but it will. I’ve learned that my body needs to trust that it will be fed consistently so that it won’t go into starvation mode and store fat instead of burn it. I’ve learned that drinking all that water really wakes you up in the middle of the night. This time five years ago I was twenty pounds lighter, what the hell happened? How do I get back there? How do I get past that? Obesity, high blood pressure, diabetes and thyroid issues all run in my family. My kids need to see their mommy healthy and finally happy with the way she looks. And I need to teach them new eating habits and the importance of exercise. I need to do this. They need to learn it from me. So, what’s MY excuse? I don’t have any. Not anymore. Thanks Maria Kang. Anyway, that’s not what I am here to write about. I am here to state, officially, that I am giving up Facebook for Lent. I have come to the realization that I have a problem. I am on it constantly. And if I’m not on Facebook, I’m on other social media that posts to Facebook. Man, I need a life. Lent is supposed to be a time of sacrifice; a time of inner reflection. Cross your fingers for me. Hope I make it. In addition to that, I am also going to try to get to the gym more, stick to my diet better, and stop swearing (in front of my kids, because, duh!). *No Facebook means just that. No Facebook. I will still be using other timesucks such as Pintrest, Twitter, and Instagram. Baby steps. I’ll report back and let you know how I did. See you in forty days Facebook!! This month the From Left to Write Book Club is reading If I Fall, I Die, by Michael Christie. It’s about a young boy whose mother has such severe agoraphobia, he spends most of his childhood inside. It’s not until one brave day, when Will ventures outside to investigate a noise that his whole world opens up. I am guilty of this as well. I routinely watch my kids roll their eyes at me when I recall the days of my youth, when I rode my bike to my friend’s house, or practiced roller skating in the street outside my house. I hear people say that the world was so much safer back then. I don’t believe that to be true. When I was a child, there were weirdos who drove white vans and tried to lure you in with candy, or puppies and then do terrible things to you. My friends and I knew about them, and stayed away from white vans. There were murders and rapists, psychopaths and religious extremists too. What I truly believe, is that there appears to be more danger in the world because we are more aware of it. Dangerous people are celebritized (is that even a word?) and worshipped. Worse yet, after they’ve been made famous for a crime committed, they are deemed “not guilty” or “rehabilitated” and released back in to the world. They are released back in to the world where our children are playing, and growing, and living. I’m not sure that I would rather be ignorant of the goings on around us, but why SHOULDN’T I be afraid to let my children play outside? Why SHOULDN’T I be terrified to let them out of my sight? Believe me, I am. But I know I have to let them go to experience the world as I never have. I hope they travel and see sights I could only dream of. I hope they discover new and amazing things about themselves everyday. I hope everyday of their lives is an adventure. And I also hope that when they do leave the nest, that I have taught them enough to be prepared for any situation. I hope they know how to handle heartbreak and anguish. I hope they know how to handle happiness and joy. And I hope they know how to handle fear and anger too. That they keep a level head and think before acting or saying. This is an original ROSCMM post. 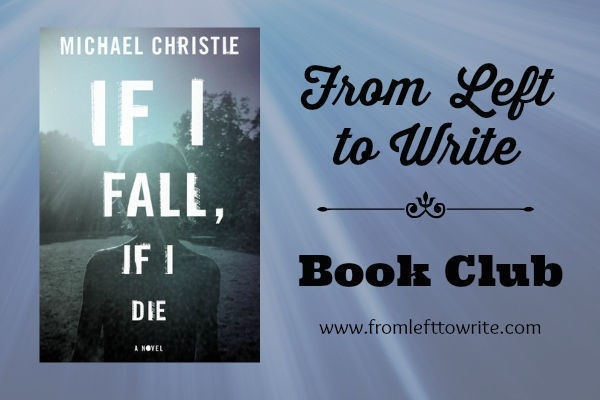 This post was written for the From Left to Write Book Club and was inspired by If I Fall, I Die by Michael Christie, a copy of which I received for review purposes. All opinions are that of Jennifer herself unless otherwise noted. Scour the internet and you will find a gazillion articles on “Things I want to teach my children before they’re 18” or something similar. The content of these articles range from teaching them to be kind and loving to teaching them how to cook and clean and sew to how to be a good parent and/or spouse. As I write this, a family in my community is dealing with the loss of their 19 year old son who died in a car accident on New Year’s Day. He was a wonderful young man, an Eagle Scout, a college student, a great friend, brother and son. His death is senseless and tragic. There are no words to describe how this family must be feeling. My sympathies go out to them from the very bottom of my heart. 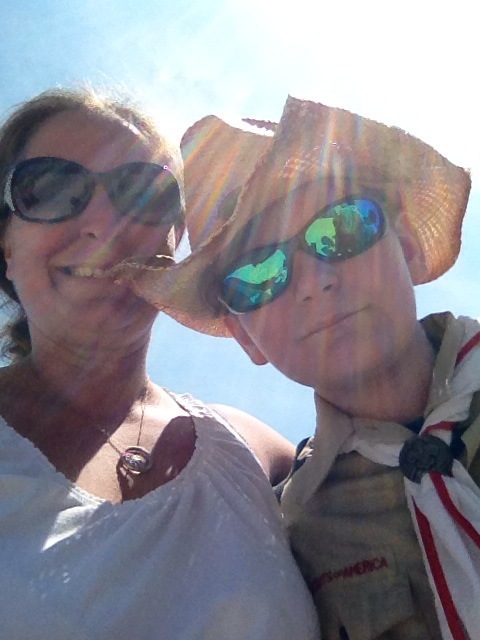 Last week, I accompanied my son and his Boy Scout troop to the wake where they said their final goodbyes to their brother in scouting. My heart shattered as I watched boy after boy break down at the loss of their friend. 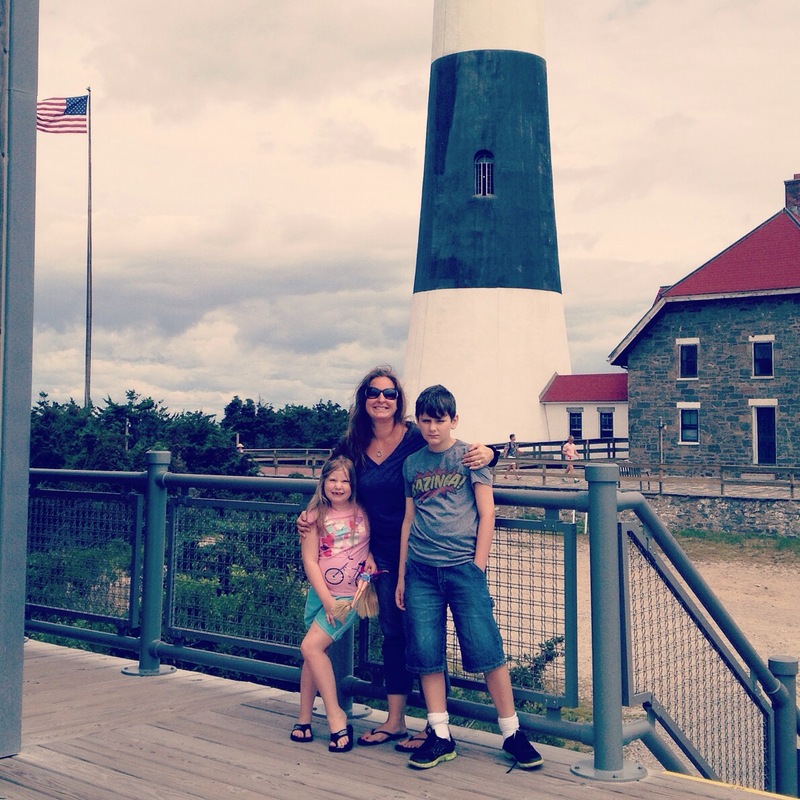 In this post, I’m not going to tell you how to raise your children or what to teach your kids. I know you’re doing the best you can with what you have to work with. God knows, I’m not perfect and I have no right to tell anyone how to walk a straight line, never mind raise their kids. There is one thing I do want to tell you, though. I am going home tonight and I am going to hug my kids. I am going to kiss my kids. And tickle them. And read to them (well, the little one at least) and yell at them to take their showers and brush their teeth and comb their hair and go to bed because they have school tomorrow. And I am going to make sure that they know that I love them more than they will ever know. More than my own life. And I am going to make sure that they know The Hubs and I are doing the best we can to make sure they have everything they need. As I do every night. Because raising kids is hard. But it’s an act of love bigger than the universe. This is an original ROSCMM post. All opinions are that of Jennifer herself, unless otherwise noted. She was my mom’s mom and my favorite person in the whole wide world. 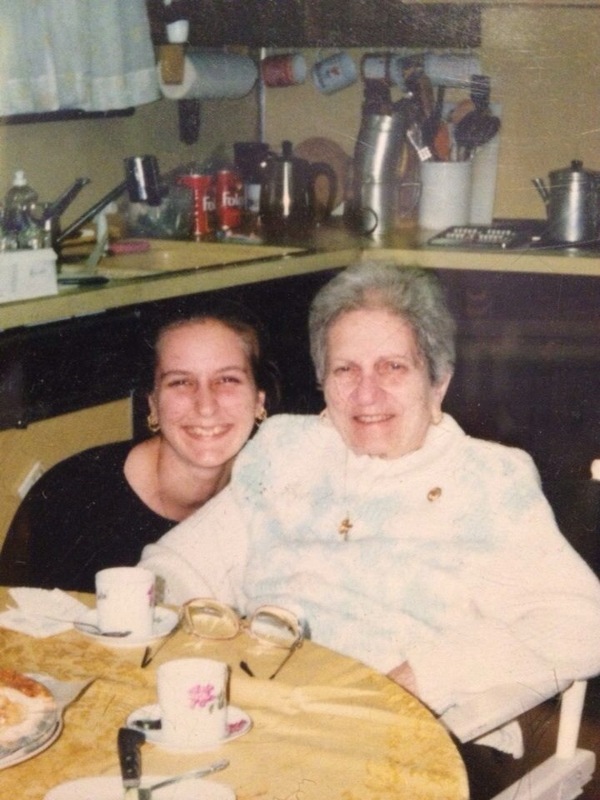 For the first 15 years of my life, she and my aunt lived in a two family house in Brooklyn. Sundays and holidays were spent at her house. Or she and Auntie would drive to ours in “Lawng Island”. She was your typical Sicilian grandma, always telling you to eat and pinching your cheeks. And when she got mad, look out!! Wooden spoons were a fearsome weapon in our house. “Well? Anything?” I asked, kind of hopeful that some miracle would happen and Grandma would be well again. “Not yet, ” my mom replied sounding sad and tired. No sooner had I hung up the phone, than my dad walked in. I can’t really remember, but I think he must have taken the train home from Manhattan, and instead of going straight home, he must have gotten off at the stop by my store. I remember being angry. Why hadn’t my mom just told me when I was on the phone with her? I had just hung up with her, why didn’t she tell me?? The rest of the day is a blur. I’m not sure how I got home. Or when we’d gone out to New Jersey for the wake and funeral. A few weeks later, Auntie presented me with a tiny, red, quilted pouch. In it was a thin gold bracelet. I remember Grandma used to wear it on the same wrist as her watch. “Grandma wanted you to have this,” she’d said. I loved that bracelet. I wore it all the time. And I was so careful with it. Always checking to see where it was. Always making sure that when I took it off, it was in a safe place. And then I lost it. I woke up one morning and it was gone. It must have snapped and fallen off and I didn’t notice. I retraced my steps. I went back to the warehouse store. I checked the backyard where I’d help put together a pool for my son. I checked my car, my room, everywhere. It was gone. Grandma’s gone eight years now. I keep this picture in my bedroom and I say good morning to her everyday. I am thankful for the time I got to spend with her. But I’m sad Big Boy didn’t get to spend more time with her and Little Miss never got to meet her. I’ve never found the bracelet either. Sorry Grandma, I guess I wasn’t careful enough. This is an original ROSCMM post. All opinions come for Jennifer herself, unless otherwise noted. 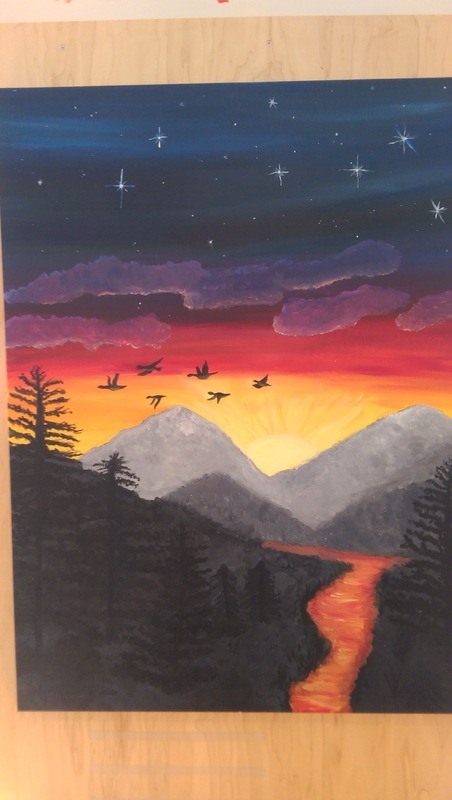 This post was inspired by the novel The Mill River Redemption by Darcie Chan, about two estranged sisters who are forced to work together in order to uncover the hidden inheritance by their mother. 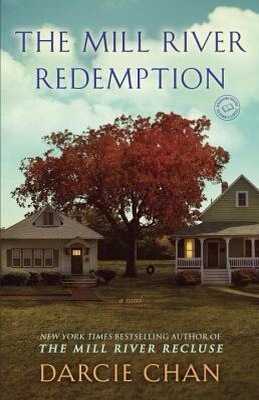 Join From Left to Write on December 2nd as we discuss The Mill River Redemption and enter to win a copy of the novel. As a member, I received a copy of the book for review purposes. Three boys came to my house yesterday while I was at work and asked for my son. My dad, who answered the door, asked their names and offered to get my son from his bedroom. By the time Big Boy came downstairs to the door, the boys had run off down the street, not bothering to state their business or offer an explanation as to why they were leaving to abruptly. After a few questions, my son and I figured out who the boys were. Turns out they gave fake names to my dad. These boys don’t have the greatest of reputations either, so it makes me wonder, what would they want with my son? Perhaps they honestly wanted to hang out with him, but why would they give fake names? And why would they run off before he could get to the door? Sadly, this reminds me of too many stories of special needs kids getting hurt or even killed by people they believed to be their friends. In August of 2014, a 16 year old with Autism was beaten up by an 18 year old after the 16 year old was invited to a party, given alcohol, and then told to go outside and fight someone. When he refused, the 18 year old was called and told there was a “drunk guy” at the party who refused to leave. The people at the party then videoed the attack and posted it on Facebook. Seriously? What makes that EVER right? In Cleveland a special needs boy was beaten and robbed after school let out when he couldn’t find his bus pass, so he chose to walk home. In 2012, a seven year old boy in Atlanta is repeatedly beaten up at school and no one calls his mother to report it. He would come home day after day with bruises and scratches on his face and no one in the school reported anything. Last year there was an issue with another boy making fun of my boy and posting on The Vine. I have since addressed that and it has been taken down and dealt with accordingly. Now, maybe I am over-reacting. 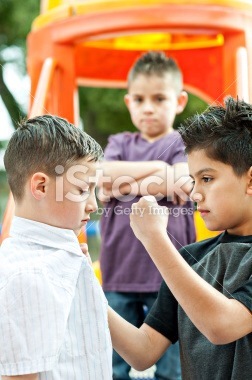 Maybe these boys want nothing more than to hang out with my kid and play video games with him. This is an original ROSCMM post. All opinions are that of Jennifer herself unless otherwise specified.